When booting your Windows 8 computer, it would be quite annoying if the PC says Missing operating system, right? Well, how can we fix this issue so as to make Windows bootable again? Here are solutions that Windows users can have a try. Firstly, you can try setting system partition active. The partition marked as system reserved is always the system partition. If there is no system partition on your disk, it is partition C most of the time. Please check whether system partition is set active. If not, select it and choose "Set Active" feature. But if you are not allowed to set this partition active, most probably a partition is already active. At this time, just select the active partition and choose "Set Inactive". At last, set the system partition active. However, if system partition is active and you get the Missing operating system error, try rebuilding MBR, which refers to the master boot code and doesn’t include partition table and disk signature. 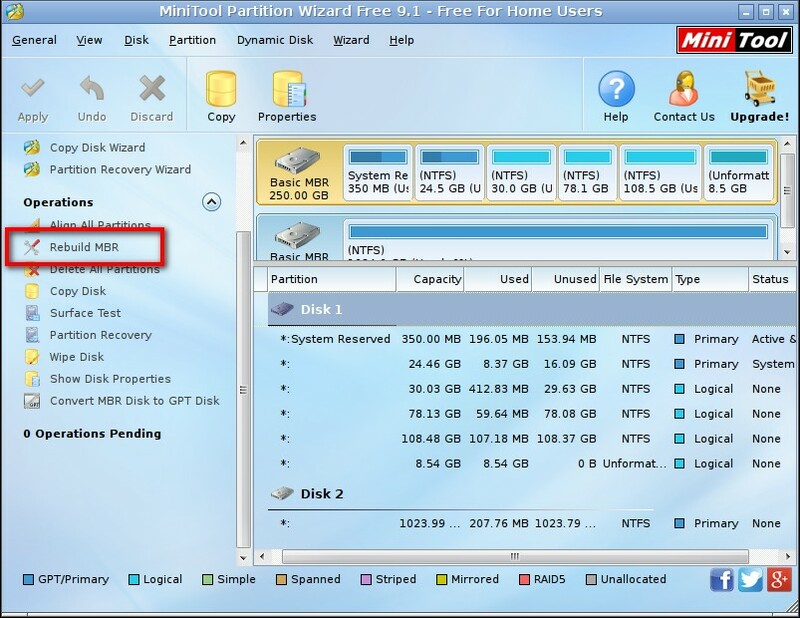 In the main window of Partition Wizard, select the system disk (the disk where Windows is installed) and choose "Rebuild MBR". 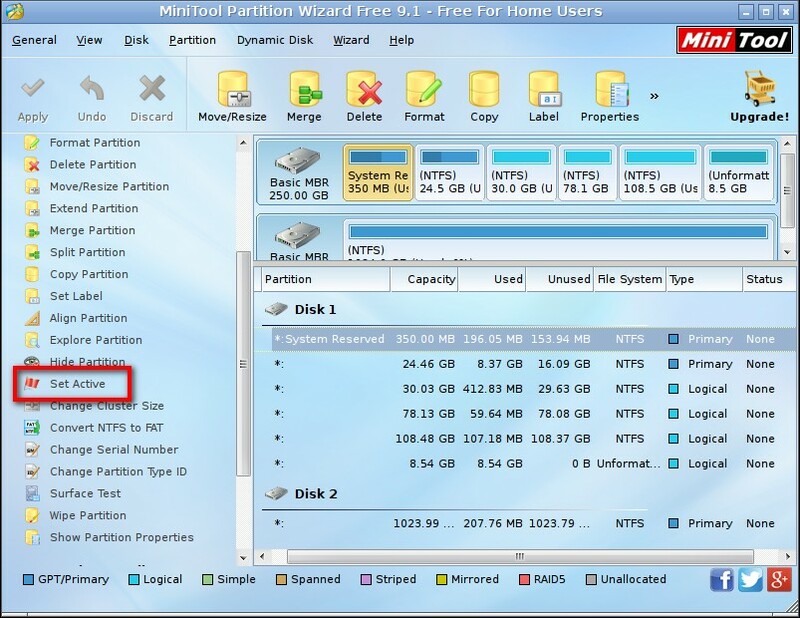 At last, click "Apply", and then MiniTool Partition Wizard will execute the change automatically. Once Partition Wizard says it applied changes successfully, you should be able to boot Windows. However, if rebuilding MBR is useless, please repair system using Windows installation media or repair disk. Here, we take installation disk for example. 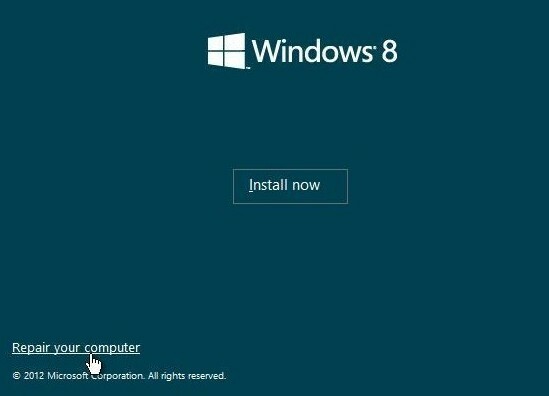 Then, you need to choose Troubleshoot → Advanced options → Automatic Repair (Windows 8) or Startup Repair(Windows 8.1) → choose the system you want to repair. Then, Setup will look for and fix problems. Wait until the fix is completed, and then Windows should be bootable. But if this method is also proved to be useless, you’ll need to reinstall Windows. At last, let’s see what could cause Missing operating system error in Windows 7/8/10. Cause 1: MBR is damaged. Virus, mistaken operation, or wrong partitioning could damage MBR. Cause 2: no active partition or set active partition mistakenly. Cause 3: Windows system files are damaged or corrupted. Cause 4: system disk is damaged physically. Are you troubled by Missing Operating System issue? Now, try these methods to fix it. Good luck!